This online career self-assessment system helps you explore your values, interests, personality and skills and their relationship to possible majors and careers. 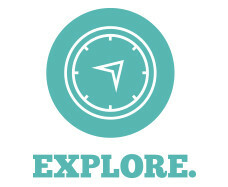 You can explore options for majors offered at St. Cloud State using self-guided, interactive exercises. Focus 2 also provides links to more than 300 careers. All information can be saved for easy retrieval and all results become part of a personal portfolio. You can review and print the results. While individual assessments vary, on average it will take 30 minutes to complete all sections. You may schedule an appointment to discuss your results. First-time users: Create an account. Your access code is husky. Returning users: Log in to your account. MBTI is the most widely used personality assessment. It clarifies your personality characteristics and generates ideas for potential careers that might fit your specific traits. It is only available to current St. Cloud State University students. Contact our office at 320-308-2151, email or in person in Centennial Hall 215 to get instructions. Cost is $20 and you receive a 10-page career report. Pre-payment accepted in cash or check only. If you are required to take the MBTI assessment for a class, contact your professor. Rate the activities you enjoy, your personal qualities and school subjects you like. Generate a list of the career clusters that are a good match for your interests. The career cluster descriptions link you to related careers, industries, pathways and majors. A 42-question assessment that matches your interests to careers. This interactive tool explores whether you can achieve your desired lifestyle based on your career of interest. You also can use it to learn how to achieve your goals through specific career and education choices. The game matches your interests and skills with similar careers. It can help you think about how your personality will fit with specific work environments and careers.